The 1973-4 OPEC oil embargo and the 1979 energy crisis cause oil company profit margins to drop to such a level that road maps became a luxury. Travel, especially in the late 1970s, becomes a similar luxury. State-produced road maps become more attractive as tourist areas compete for dwindling travel dollars. 1975 map printed at half size as an economy measure. 1980s – the end of the road for the oil company map? Exxon, Mobil, Marathon, and Phillips continue their map programs. 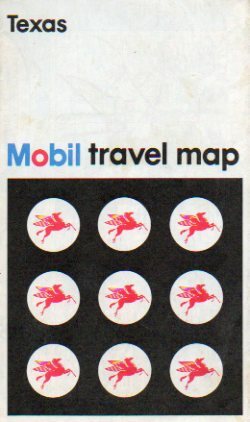 Gas map covers become an advertisement for the station, not for travel. State issued road maps begin to be issued biennially as the highway building boom slows. Map needs begin to be filled by discount stores and truck stop stores. Generally sold, not given away, European maps become popular among collectors. Oil company maps become scarce. State governments still issue maps, although in some cases, the frequency drops to biennially. 2000s – A millennium with only our GPS to guide us? 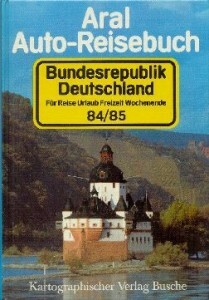 Road maps are still available in gas stations, but for purchase. Station locator maps thrive. Some companies publish atlases. Publisher Rand McNally co-branded along with Conoco. State-issued maps begin to be sponsored by corporations.